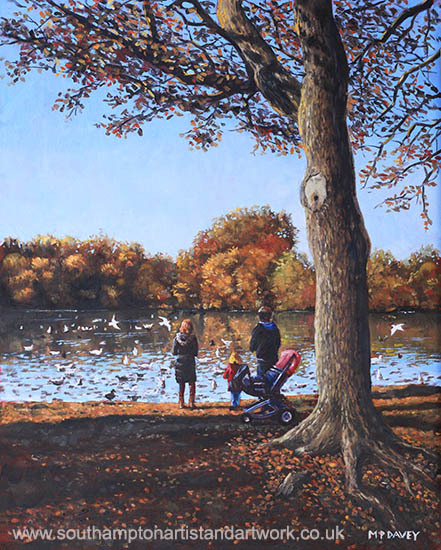 This painting show the duck pond, known as Cemetery Lake, at Southampton Common, near to the Cemetery. The time of the year is late autumn and a young family can be seen feeding the ducks at the pond during a late afternoon. Seagulls and other birds are are also spotted here. The painting was created in oils using a 'wet into wet' technique, and is sized at 16”x 20”. It was painted during late 2013.